It's a new day and new Firefox! Okay, so the latest version of Firefox really isn't all that new (the original version of Firefox 2 was released way back in 2006). 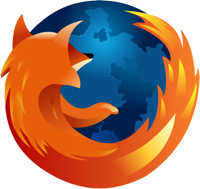 But, Firefox 2.0.0.13 does include some critical security updates over previous versions of Firefox 2. Another memory corruption fix is included in the form of Gecko 1.8.1.13. This will surely not be the last memory corruption fix featured in Firefox 2, but progress is a beautiful thing. I'm off to upgrade — I hope you are too.